Ahead of the Saturday’s bye-election in Osun West Senatorial District, the Peoples Democratic Party has alleged that 68,399 ballot papers to be used in election are already missing. The serial numbering on the boxes containing the ballot papers do not tally with those on the records provided by INEC, the opposition Peoples Democratic Party (PDP) said as it pushes its claims that ballot papers are missing. 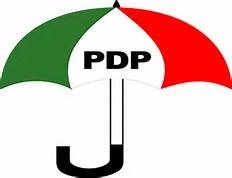 A by-election has been scheduled to hold on July 8 in Osun West Senatorial District, but the state chapter of the PDP is insisting that 68,399 ballot papers to be used in election are missing. The Chairman of the party in the state, Soji Adagunodo, told reporters that the discrepancies in the party discovered on Thursday that some ballot papers delivered to at least 4 local government areas were not complete. Adagunodo claimed the discrepancies were noticed in ballot papers meant for several wards in Ayedaade, Ede North, Egbedore and Isokan Local Governments of the Senatorial District. The PDP chairman in Osun demanded an immediate “full disclosure on the reasons for the discrepancies in order to maintain the sanctity of the electoral process and retain the confidence of voters in the electoral umpire". He insisted that INEC had a duty to explain the whereabouts of the “ballot papers and prove beyond doubt that they have not been tampered with by any unauthorized persons". Noting that the party’s agents in all 10 local government areas have been put on high alert, Adagunodo also urged security agents and the general public to be vigilante of illegal movement of certain items in ambulances, refuse disposal vans and some state government vehicles between Friday morning and Saturday evening". Adagunodo urged party members and supporters to remain vigilant ahead of tomorrow’s election and report any suspicious activities to the law enforcement agencies and party leaders in their local governments.